The outcome of US Federal Open Market Committee (FOMC) meeting, upcoming Interim Budget and expiry of January-series futures and options contract later in the day are likely to dictate the market trend. Apart from this, market participants will keep a tab on December quarter earnings from companies such as Bharti Airtel and Hero MotoCorp, along with movement in rupee and crude oil. The FOMC on Wednesday held interest rates steady as expected, and also discarded its promises of “further gradual increases” in interest rates. Investors will look forward to Interim Budget 2019 which is scheduled on February 1. Among stocks, ICICI Bank will be in focus after the company reported a 2.7 per cent fall in third-quarter net profit on Thursday, missing analysts' estimates by a wide margin, as it set aside higher provisions. Net profit fell to Rs 1,605 crore in the three months to December 31, from Rs 1,650 crore a year earlier. 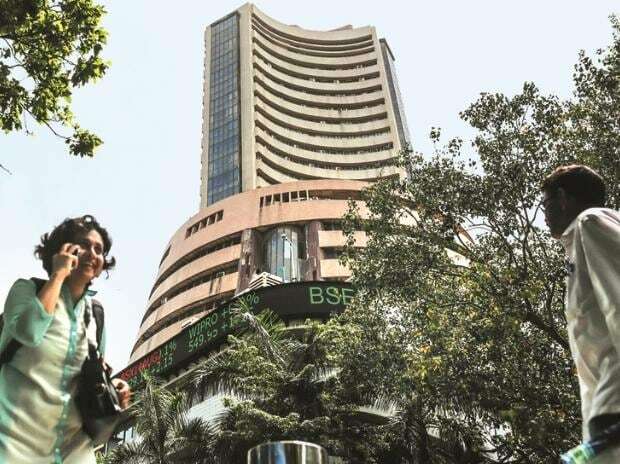 Around 125 companies including Bharti Airtel, Dabur, Dena Bank, Emami, Indiabulls Housing Finance, Hero MotoCorp, NMDC, Vedanta, are slated to announce their December quarter earnings later in the day. The rupee Wednesday ended almost flat at 71.12 against the US dollar as forex traders preferred to sit on the fence while awaiting cues from key upcoming events like US Fed policy and India's Union Budget. Asia stocks rose to a four-month high on Thursday, tracking Wall Street, after the Federal Reserve pledged to be patient with further interest rate hikes, signaling a potential end to its tightening cycle amid signs of slowing global growth. MSCI’s broadest index of Asia-Pacific shares outside Japan rose to its highest since Oct. 4 and was last up 0.4 per cent. Japan’s Nikkei rose 1.4 per cent. Australian stocks added 0.4 per cent, while South Korea’s KOSPI advanced 0.7 per cent. On Wall Street, the Dow Jones Industrial Average rose 434.9 points, or 1.77 per cent, to 25,014.86. The S&P 500 gained 41.05 points, or 1.55 per cent, to 2,681.05, and the Nasdaq Composite added 154.79 points, or 2.2 per cent, to 7,183.08. US West Texas Intermediate (WTI) crude futures were at $54.41 per barrel, up 19 cents from their last settlement. International Brent crude oil futures had yet to trade, after closing up 2.2 per cent in the previous session. The country's unemployment rate stood at a 45-year-high of 6.1 per cent in 2017-18, according to the National Sample Survey Office's (NSSO's) periodic labour force survey (PLFS). The report is at the centre of a controversy after two National Statistical Commission (NSC) members, including acting chairman, resigned on Monday, alleging that the government had withheld its release despite the NSC's approval. ndia’s largest iron ore mining company NMDC has lost about 22 per cent of its market value since mid-September on declining domestic iron ore prices. The company had to take price cuts over the past two months. Moreover, concerns due to the halting of production at NMDC’s Donimalai mines in Karnataka, over mining rental issues, remain elevated. While the resolution of production and pricing issues is awaited, a mining disaster in Brazil has led to the possibility that Vale SA — the world’s second-largest producer — may come under scrutiny, thereby pushing up global prices and benefitting other iron ore producers including NMDC.